Abstract: A theoretical space propulsion concept in which a system does not lose its ionized propellant is introduced. Due to the fact that no propellant mass is lost by the system, the theoretical propulsion concept is synonymous to a form of propellant less propulsion similarly to the EM Drive. Therefore, a summarization of the EM drive including a brief description of other advances in ion propulsion is given along with a comparison to the new theoretical propulsion concept to be introduced. The orthogonal fluid flow propulsion concept or OFFPC describes orthogonal fluid flows of ionized propellant injected by orthogonal nozzles into an enclosed chamber where the ionized propellant is governed by electric forces generated by the chamber walls and will be mathematically shown to generate thrust. Inevitably, Newton’s third law and momentum conservation are addressed in relation to the OFFPC. Specifically, aerodynamic momentum conservation in a controlled volume system is used to show that the OFFPC obeys momentum conservation after elucidating the role of Newton’s third law within the theoretical system. The capability of a propulsion system incorporating the OFFPC to regenerate a portion of its electric energy (and voltage) similarly to an automobile alternator will be mathematically expressed. Thus, a description of how the system exhausts energy as with any conventional system is given to show that a propulsion system incorporating the OFFPC is not a perpetual motion device. Lastly, a mathematical demonstration of a hypothetical vehicle is given to show quantitative results and theoretical performance figures produced by the OFFPC. Abstract: Creation of zero CO2 emission enterprises due to energy use in Crete, Greece has been examined with reference to an orange juice producing plant (Viochym). Energy intensity at Viochym has been estimated at 1.66 KWh per € of annual sales. Oil used for heat generation has been replaced with solid biomass produced locally in Crete and resulting in zero CO2 emissions due to the use of heat. Offsetting CO2 emissions due to grid electricity use has been proposed with two options. The first includes the installation of a solar photovoltaic system with nominal power of 417 KWp, according to net metering regulations, generating annually 625 MWh equal to annual grid electricity consumption in the plant. Its capital cost has been estimated at 0.5 mil € which corresponds to 1.07 € per kg of CO2 saved annually.The second option includes the creation of a tree plantation in an area of 107 hectare resulting in carbon sequestration equal to carbon emissions in the plant due to electricity use. Both options for offsetting CO2 emissions in Viochym have various advantages and drawbacks and they are considered realistic and feasible, resulting in the elimination of its carbon emissions due to energy use. Improvement of the energy intensity of various processes in Viochym could result in lower CO2 emissions and smaller sizing of the required renewable energy systems for eliminating them. Abstract: Electric mobility has developed itself to an option to mitigate air pollution and greenhouse gas emissions in cities same as in intralogistics material handling, while significant advances have been made in the research and development of electric vehicles (EV’s). Along with the major challenge of energy storage, another important factor is the efficient design of system energy supply, transfer and consumption. This has had the effect of fundamentally changing perspectives across the mobility and transportation sector.The overarching aim of this research is to examine the impact and potential of using contactless occasional recharging for non-road Electric Vehicles (nrEV) integrated within a manufacturing line, recognising the need to balance the (sometimes competing) demands of delivering reliable and efficient production while respecting environmental and sustainable needs. The integration of a contactless charging infrastructure targets on a reliable energy supply in process inherent break times without changing or interrupting existing production processes.The research investigations based on the Occasional Charging Station Location Model (OCSLM) provide a set of novel results in reference to the impact from interim battery charging to system`s overall sustainability. The application demonstrated a theoretical increase in usable battery energy of 40% to 60% while realising a reduction potential in battery capacity and system cost of between 5% to 45%. However, the use of contactless power transfer based on a standard energy mix resulted in an increase in CO2 emissions of up to 6.89% revealing a negative impact to overall ecology from the use of this energy transfer system. Abstract: The effect of HgI2 crystal encapsulation using different polymer resins, with the intent of avoiding the oxidation of the crystal surface, was evaluated in this work. The crystal was purified and grown by the physical vapor transport (PVT) technique modified. Systematic measurements were carried out for evaluating the stoichiometry, structure orientation, surface morphology and impurity of the crystal grown. The purer region of the crystal grown was selected to be prepared as a radiation detector, applying water-based conductive ink contacts and copper wire on the crystal surfaces. After that, the crystal was encapsulated with a polymeric resin which insulates atmospheric gases, aiming to improve the stability of the HgI2 detector. Four resins were used for crystal encapslation and the performance of the detector depended on the composition of the resins used. Among the four resins studied to evaluate the influence of encapsulation on the performance of crystals, as a radiation detector, the best result of resistivity and energy spectrum was obtained for the resin #3 (50% - 100% of Methylacetate and 5% - 10% of n-butylacetate). The encapsulation of crystals with polymer resins, performed with the intent of avoiding the oxidation of the crystal surface, did not compromise the measurements and were fully capable of detecting the presence of gamma radiation. The stability of the encapsulated HgI2 crystal detector was of up to 78 hs, while the stability found for HgI2 detector no encapsulated was in order 3 ~4 hs. Abstract: In this paper, a genetic algorithm (GA)-based approach is used to evaluate the probability of successful handoff in heterogeneous wireless networks (HWNs) so as to increase capacity and network performance. The traditional handoff schemes are prone to ping pong and corner effects and developing an optimized handoff scheme for seamless, faster, and less power consuming handoff decision is challenging. The GA scheme can effectively optimize soft handoff decision by selecting the best fit network for the mobile terminal (MT) considering quality of service (QoS) requirements, network parameters and user’s preference in terms of cost of different attachment points for the MT. The robustness and ability to determine global optima for any function using crossover and mutation operations makes GA a promising solution. The developed optimization framework was simulated in Matrix Laboratory (MATLAB) software using MATLAB’s optima tool and results show that an optimal MT attachment point is the one with the highest handoff success probability value which determines direction for successful handoff in HWN environment. The system maintained a 90% with 4 channels and more while a 75% was obtained even at high traffic intensity. 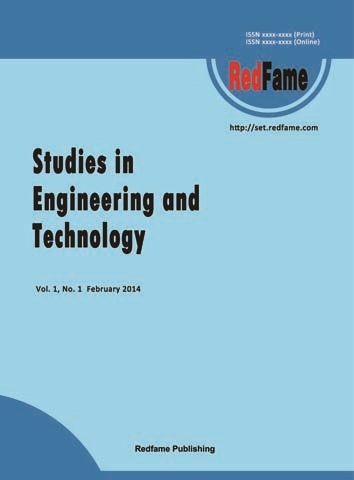 Abstract: In this paper, the software of SMARTFIRE is applied to simulation a fire process at a long-distance passenger transport station. The results of SMARTFIRE can be used as environment condition of occupant evacuation. The software of Building EXODUS is applied to simulation the evacuation process with and without fire. Evacuation times with different number of occupants are calculated. If the density of occupants is relatively small, pedestrian flow during evacuation can take on a dilute state because of the large quantity of exits on public site. And evacuation time changes a little with the increase of the number of occupants in low range of density. If the density of occupants is comparatively big, the phenomena of queuing up at the exits and assembling at the bottlenecks will take place, resulting in an obviously long evacuation time; The influences of the use ratios of exit are analyzed, and balancing the use ratio of each exit can obviously improve the efficiency of evacuation; The influences of the fire simulated by SMARTFIRE are also analyzed. In addition to the factors of low visibility and low walking speed, the change of evacuation routes and the imbalance of the use ratio of each exit are also very important factors of fire.